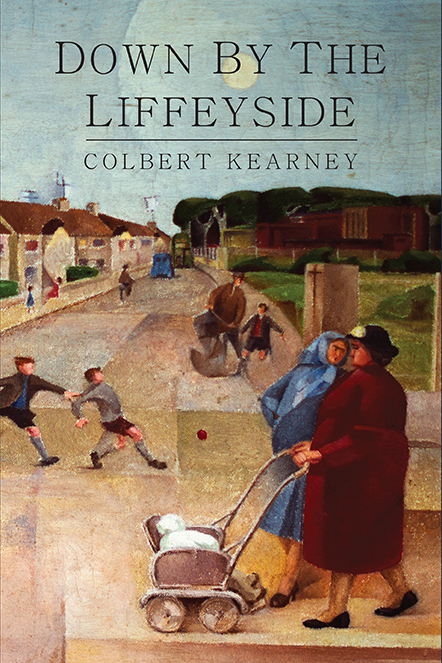 In Down by the Liffeyside Colbert Kearney gives us a witty social history of a Dublin working-class family from the 1940s to the turn of the 21st century. This was no ordinary family. Colbert’s grandfather, Peadar Kearney, was a veteran of 1916 and the War of Independence; his cousin was the IRA activist and author Brendan Behan. Peadar Kearney penned many popular nationalist songs, including ‘The Soldier’s Song’ which was to become the national anthem. He casts a long shadow over this memoir, though he died three years before the author was born. The Kearneys were also related to the theatrical Bourke family so this memoir teems with songs and stories that evoke the vibrant music-hall fare of Dublin’s Queen’s Theatre, where both of Colbert’s parents worked— Con as a lighting technician, Maisie as an usherette—before going on to settle in the new suburb of Finglas as part of the great urban diaspora of the early 1950s. The final section of the memoir uses historical archives in an attempt to get closer to the real Peadar Kearney, aspects of whose latter life may have been airbrushed in order to protect his heroic status. Down by the Liffeyside is more than a tender and loving portrait of a working-class couple, it’s also a bittersweet tribute to the men and women who endured the growing pains of the Irish Free State. Colbert Kearney was born in 1945 into a Dublin working class family. He grew up in Finglas in the 50s and 60s, was educated at University College Dublin and Cambridge University and spent his working life at University College Cork, retiring as Professor of Modern English in 2008. He has written widely on Irish literature, including The Writings of Brendan Behan (1977) and The Glamour of Grammar: politics and orality and the emergence of Sean O’Casey (2000). His novel, The Consequence (1993) was described as ‘one of the most stylish literary debuts in many years’.